"Monyati prides its collection as a signature collection bringing together aspects of the diverse culture seen in the UAE today, and aims to highlight and promote the UAE as a true capital of fashion and talent. 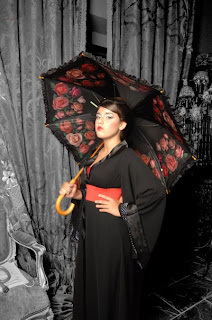 The seasonal collection is inspired by a fusion of national and international catwalk trends." 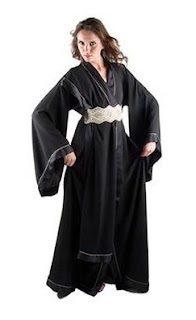 I love love love the kimono-style abayas too! 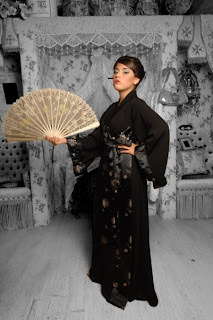 So geisha and so me! These are so cute. 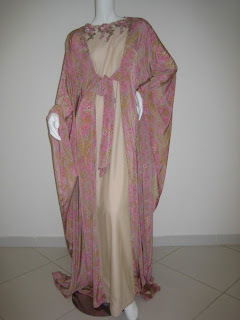 I found side wrap style Abayas at alsundus.com -they have them in pink and maroon. 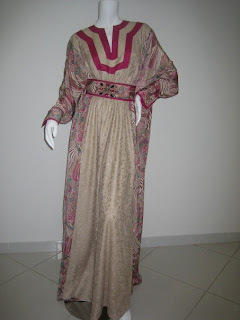 Thanks for posting these lovely abaya! 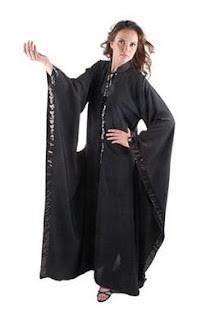 I've always admired the styles and quality of the Dubai abaya. We do also have some available for purchase on our website,www.al-farah.com, they're not quite as edgy as these, but they are gorgeous!